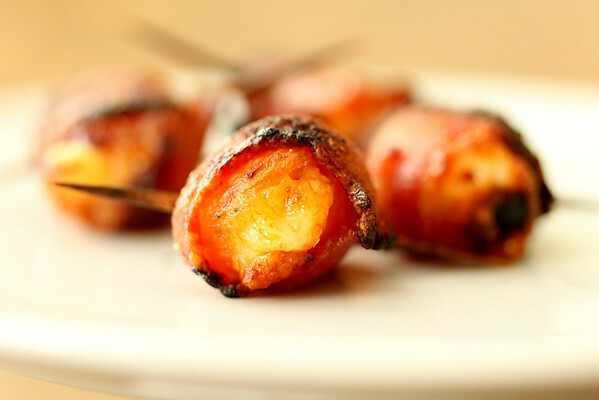 These bacon wrapped stuffed apricots are filled with Havarti cheese and almonds. The sweetness of the apricots combined with the mild melty cheese and the crunchy almonds go beautifully with the bacon (it's a cliché, but what doesn't go well with bacon?). 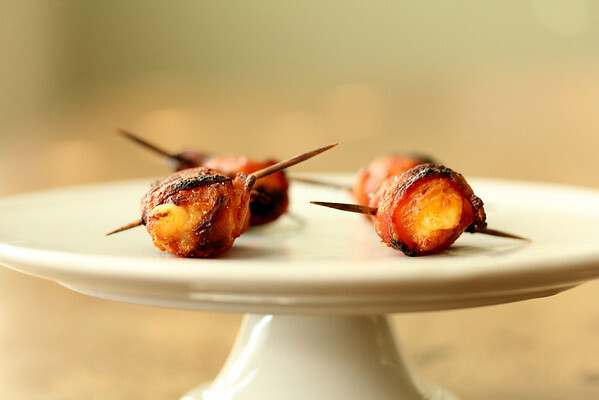 These are perfect little appetizers for a party, and are so easy to make. Havarti cheese is very creamy and mild, and melts perfectly inside the apricots. Set a rack about 6 inches below your broiler. Slit open the apricots and place a piece of cheese and an almond inside. Wrap with a slice of bacon with a 1/2 inch overlap (trim off excess). Secure with a toothpick and sprinkle with black pepper. 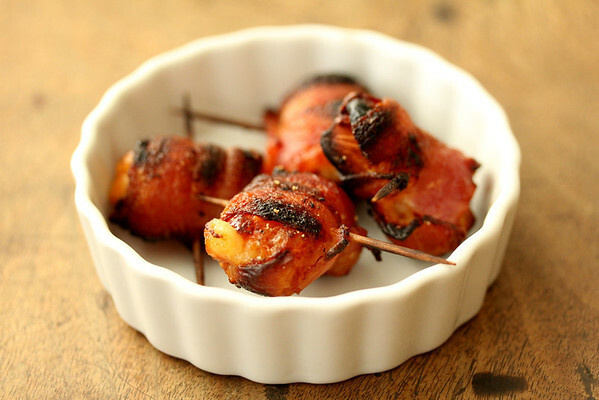 Broil the appetizers, turning often with tongs to crisp the bacon all over. If there is too much grease, you can move the appetizers to a second foil lined pan and continue to broil. The whole broiling process should take about 10 minutes or less. What a great idea. <3 it. I make it with dates, usually. But will try it now with apricots. Thanks ! Thanks Ralph! I loved the bacon and apricot combination. Oh thanks a lot, I've just tried to do it with plums, apricots are a great idea! For some reason I couldn't post the other night- but I really love the idea of something other than bacon wrapped dates. This is a nice twist. And I appreicate the new cheese to try too. oh this sounds perfect to pair with a white wine for our girl's wine tasting party! Thanks!